DEFY GRAVITY - Scuba Dive today in Los Cabos, Baja. 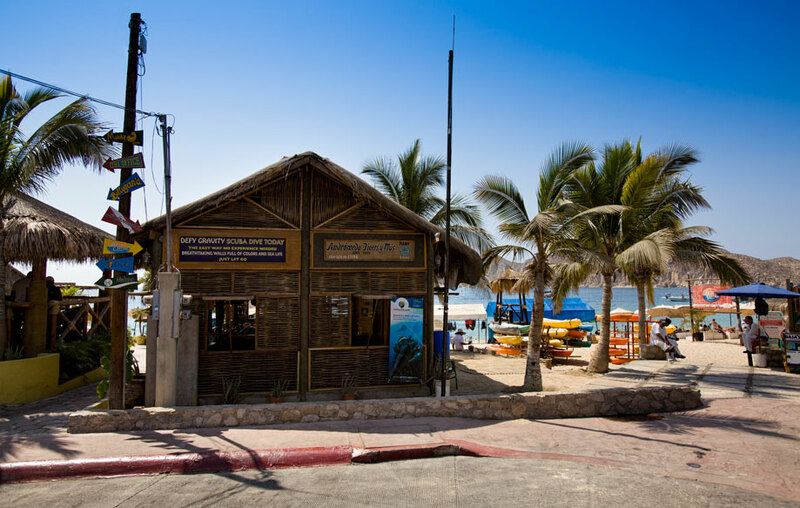 Andromeda Divers is one of the first dive shops in Cabo and "since 1985" we have guide divers in to the worlds aquarium. Owned and managed by Miguel Alighieri for over 25 years service, safety and ecology have always being top priorities. 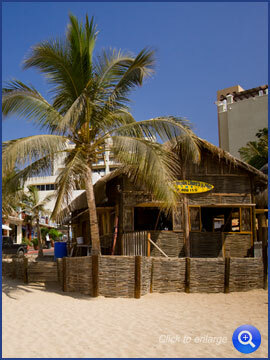 Located in Cabo San Lucas Bay today Andromeda Divers operates as a PADI dive resort. 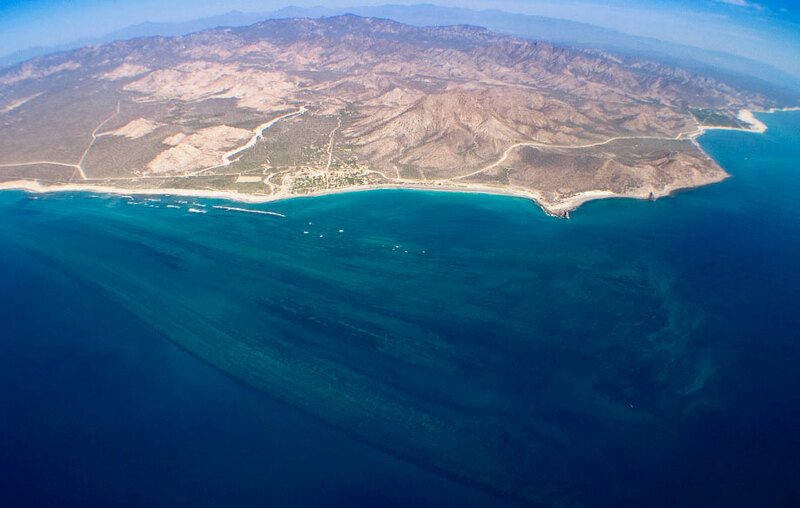 Our expertise, friendly team of professional staff and unique location set the perfect mix for enjoing the best Baja dive locations and the top choice for beach destination in Mexico. 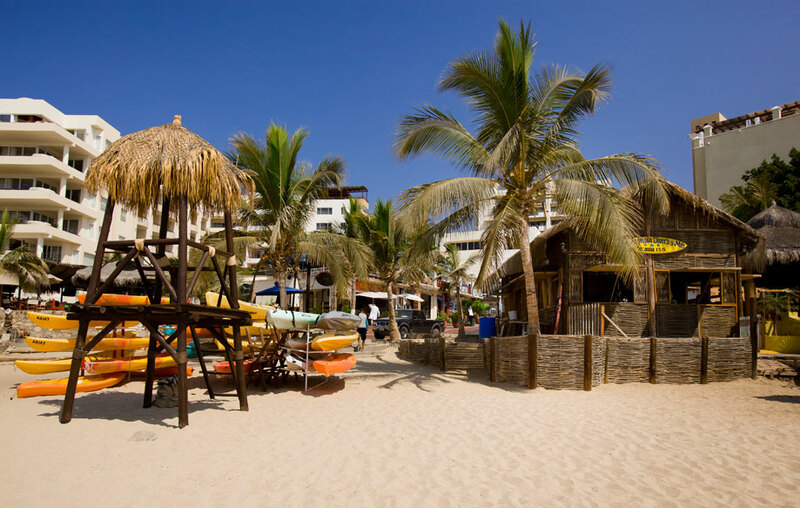 Mexicos most thrilling beach has more activities than just scuba diving check our water sports page to find out other ways to have fun in Cabo. 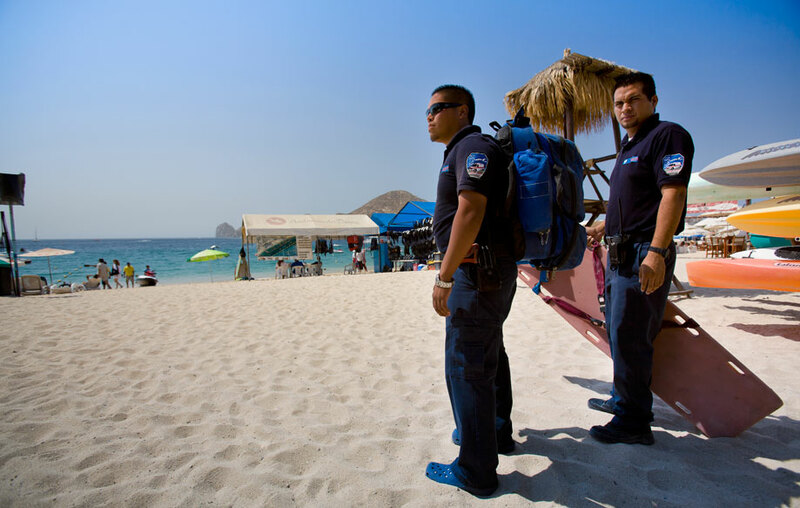 and MEDCARE, our water expertise has help us collaborate with them in both training and actual emergencies, with us you defy gravity but not your luck, with EMR staff ready to attend you in the unlikely event of the minor scratch from a crab. 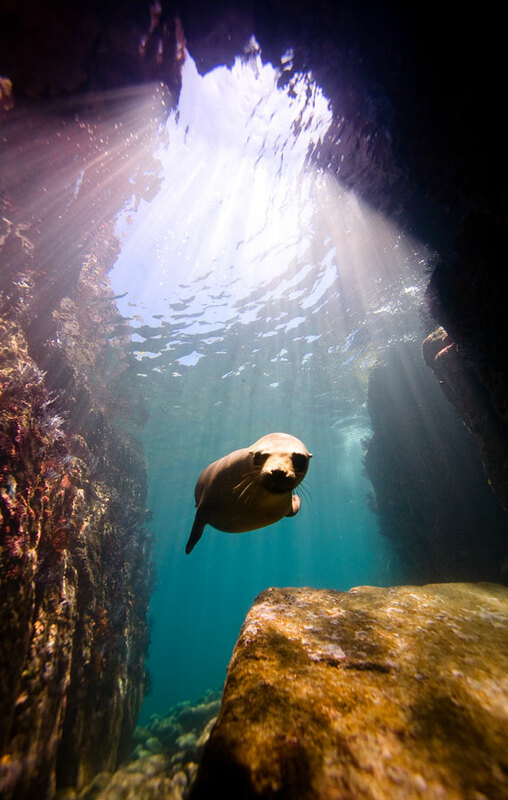 The peninsula of Baja California has a very interesting and unique marine environment. 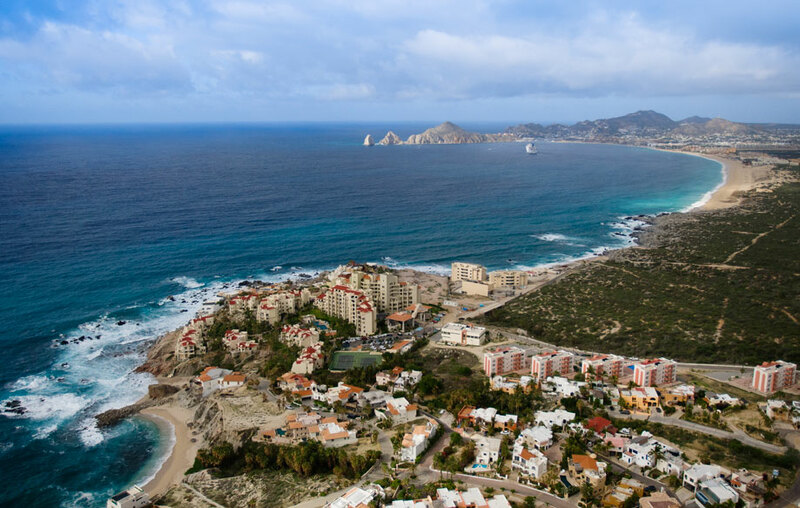 More than 600 miles long, in one side called the Sea of Cortez and on the other called the Pacific Ocean, this two ecosystems converge right at the tip pf the peninsula, the place is Called Land's End, and there where the land ends is where life begins. At the pinnacle the two currents collide creating an explosion of marine species, along the year both currents take part on a dance that result in temperature variations that create different enviroments and contions along the year which matain the interest of foreign and local divers since depending on the season when you dive it seams like a total diferent dive site, this condition are not unique to Cabo San Lucas Bay, there are many other divesites that benefit or where created from the combination of this and other unique events, like the Sand Falls in Cabo Bay, Chileno reef and CABO PULMO coral reef, among others. 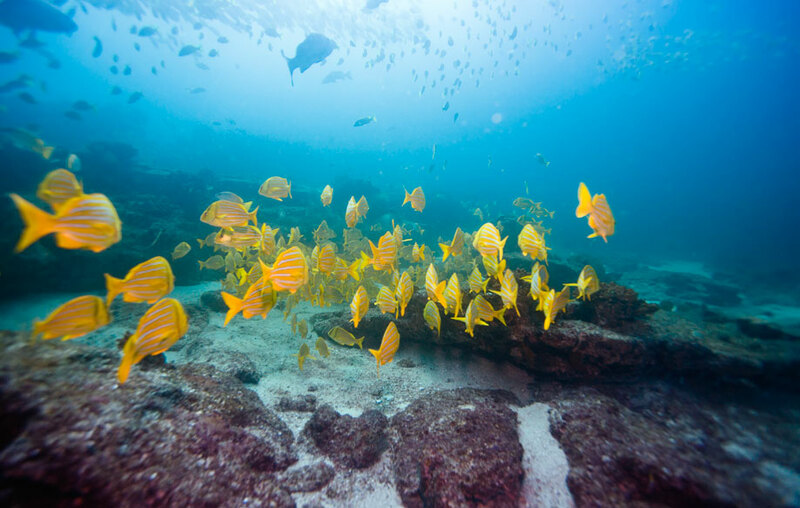 visit our dive locations page find more hidden treasures in the Sea of Cortez, the worlds aquarium.